Directions: Bee Caves Rd to Montebello Rd; left on Liberty Park; left into gated Villas of Treemont. OR, from Southbound Mopac access road, Right onto Liberty Park and right into Villas of Treemont. Remarks: ABSOLUTELY STUNNING HM IN COVETED VILLAS AT TREEMONT SURROUNDED BY TOWERING OAKS & LUSH LANDSCAPING! 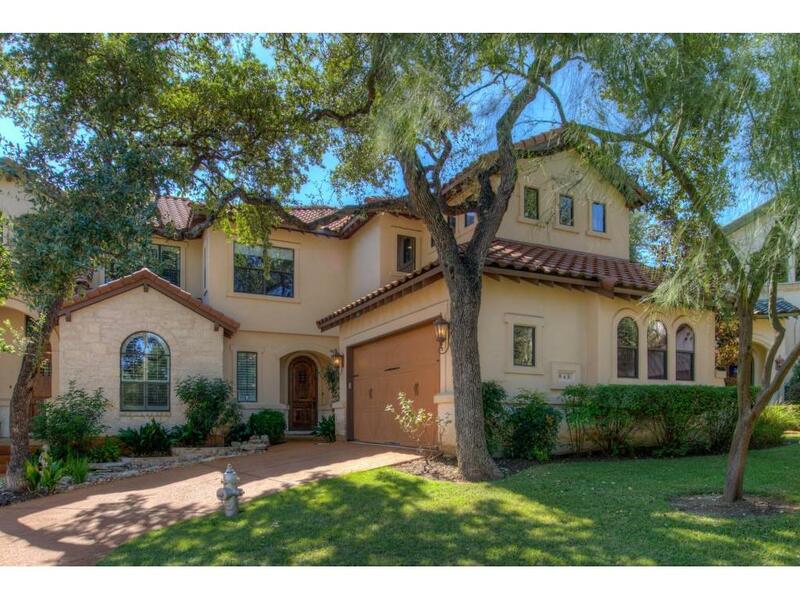 FREDERICK HARRIS ESTATE SERIES W MASTER DWN & SOARING 2 STORY CEILINGS! STONE FP, PLANTATION SHUTTERS, IRON RAILINGS, BUILT INS, CUSTOM CABINETS W FLUTED EDGES, SS GE MONOGRAM 6 BURNER COOKTOP, TRAY CEILINGS, WIRED FOR SURROUND SOUND, COV PATIO W OUTDOOR PERGOLA, FLAGSTONE SEATING AREA & PRIVACY! MINUTES TO DOWNTOWN AUSTIN, IN EANES ISD, WALK TO TRADER JOES, CAB RIDE TO DT FESTIVALS & AMAZING RESTAURANTS!